Come again? 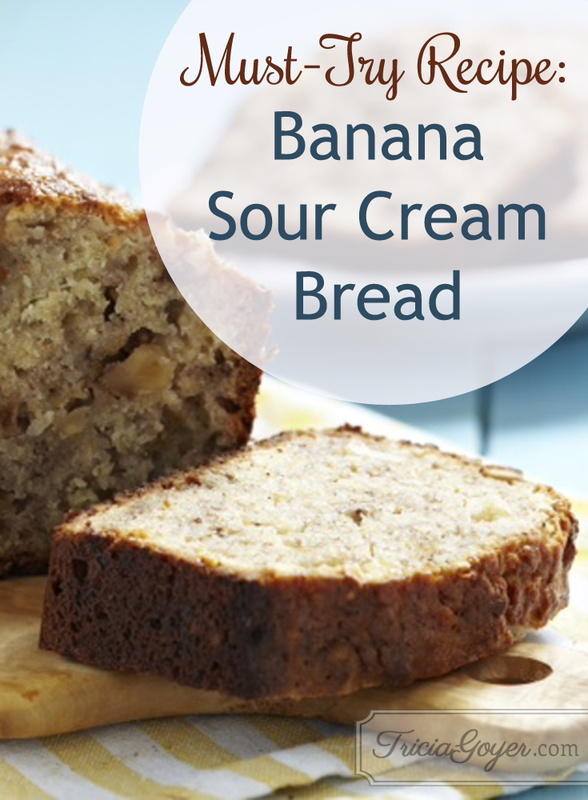 Banana bread made with sour cream!? Don’t worry—I was skeptical when I first saw the recipe, but trust me, it’s the best. The sour cream makes the bread so moist and doesn’t taste funny at all. Recipe from Simply Delicious Amish Cooking. Thanksgiving and pies go hand in hand. I love this Old-Fashioned Buttermilk Pie recipe from Made with Love. 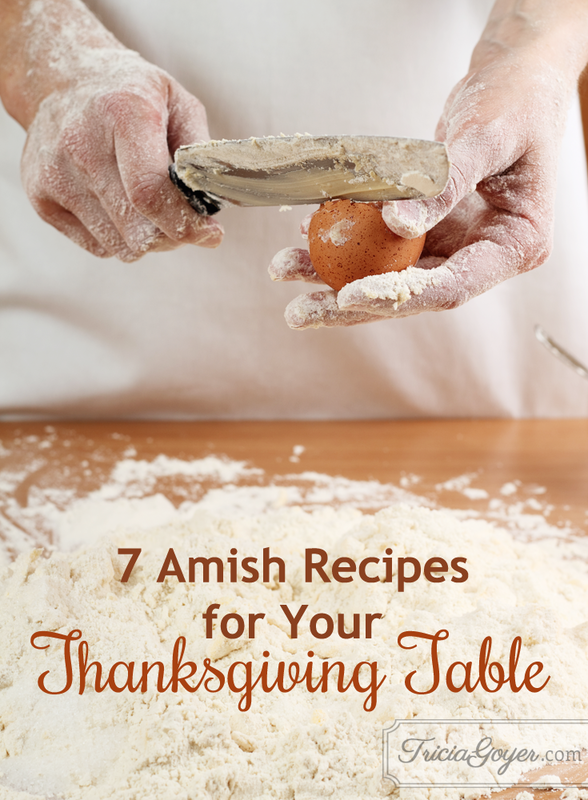 In charge of a side dish this Thanksgiving? Leslie Gould’s broccoli and cranberry salad is easy, delicious, and so festive! Recipe from notquiteamish.com. Perfect for a hostess gift or family gathering. Marie Dittmer’s recipe for cranberry bread is colorful and packed with nutritious ingredients. P.S. it’s even better the next day—the flavors get more intense! Recipe from notquiteamishliving.com. 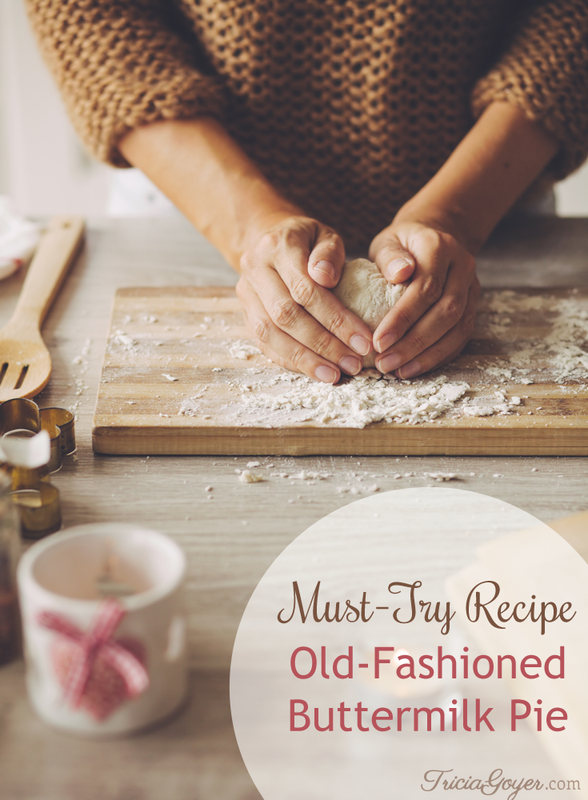 Recipes passed down from generation to generation make them that much sweeter! Teri Lynne shares her grandmother’s recipe for fudge on notquiteamishliving.com and it’s a good one! Sherry Gore is one of my favorite cooks and her pie recipes are to die for. This one from Me, Myself, and Pie for Cream Cheese Pecan Pie is a crowd-pleaser. 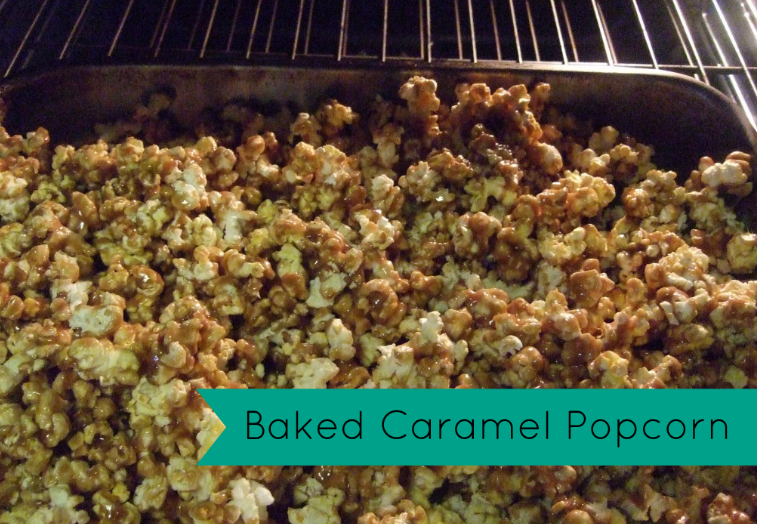 My grandma’s recipe for baked caramel popcorn is a must this time of year. The smell alone brings backs memories of being a kid and eagerly awaiting the yummy treats grandma had in the oven. I’m overjoyed I can share this recipe with my own kids and grandkids! Need a hostess gift to bring to an upcoming gathering? Get a copy of The One Year Book of Amish Peace! In our instantly connected world, it’s surprisingly easy to lose our connection to God. This devotional taps Amish wisdom in order to help us draw closer to God and hear his voice. In The One Year Book of Amish Peace, you’ll get a daily taste of Amish values and wisdom. Tricia Goyer shares her fascination with the Amish in a way that will inspire and encourage believers to carve out more time in each day to listen to God and experience his presence. This daily devotional contains interesting facts about the Amish, recipes, and information about the way the Amish handle money, rear their children, and center their lives on faith in God. You’ll be inspired to slow down and find ways to simplify so that you, too, can experience God in the ordinary.